Anyone considering their wedding dress options might well want to book in for this stunning event. Mariana Hardwick (designer) is renowned for her wedding dresses. They are gorgeous floaty numbers that are enough to make one salivate. Her collection is often the starting point for many brides to get ideas about what they will wear on their grand day. 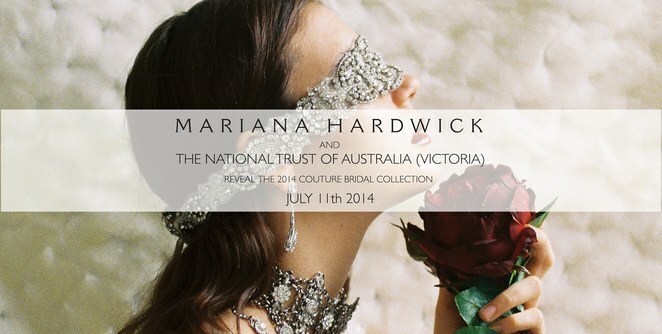 This year the Mariana Hardwick collection is being unveiled (and there will be plenty of veils to view) at the Grand Ballroom at the amazing National Trust property Ripponlea. This adds a lot of extras to this fashion launch. Firstly you get to see a stunning fashion parade in a magnificent National Trust setting. If you haven't been to Ripponlea it has to be seen to be believed. The grand ballroom in particular is totally opulent. The cost of the event is $50 but if you were planning on a Mariana Hardwick dress anyway you get the experience and then there is $50 back redeemable on your purchase. When you purchase your ticket you also go into the running to win a gown or accessories of your choice from The Hardwick Collection. Prize value - $500. But most importantly the ticket price also includes a glass of champagne and entry to Love, Desire and Riches: The Fashion of Weddings. This is a separate exhibition that examines the intersection between film, historic fashion and the culture of weddings. It also showcases dresses from world famous fashion houses, such as Valentino, Maticevski and Akira as well as celebrity dresses. The Exhibition is interactive and includes historic and famous wedding costumes as well as food and flower. It is a fascinating exploration of what makes a great wedding both then and now. All proceeds are to support the upkeep and restoration of the National Trust of Victoria's Costume Collection. Image Passion8 Photographers. Yes they do weddings at Ripponlea as well. 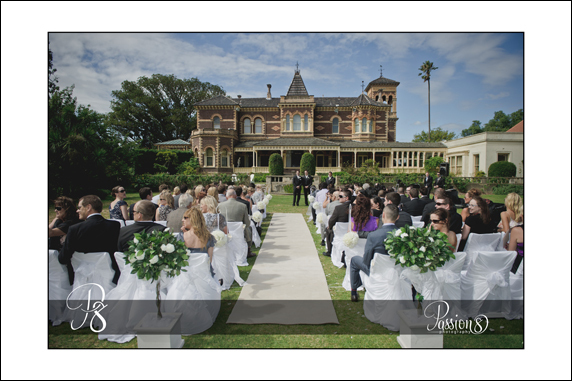 Ripponlea is also a famous wedding venue.